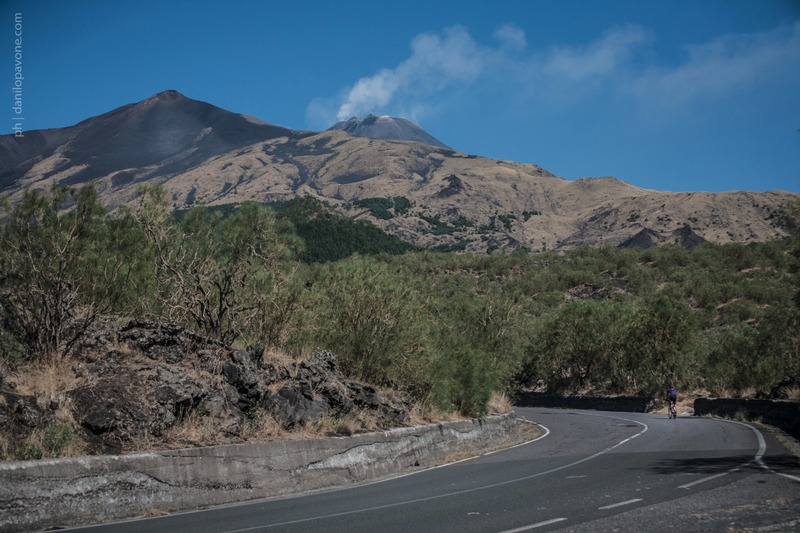 An adventurous excursion by gravel or mountain bike that takes riders from one side of Mount Etna to the other, with a night spent in the wilderness in a mountain cabin on the volcano. The trip will start in Milo and climb up and over all the way to Randazzo, passing over Piano Provenzana via the mountain trails. We’ll have a BBQ and local wine at before spending the night camping wild in the mountain cabin, Rifugio Timparossa. From Randazzo, we will spend a further day exploring the trails and vineyards of the Alcantara Valley before heading back back to Catania. Thu 22nd Aug: Arrive at Catania Airport, meet at secret location in the city for a briefing and assemble bikes. Get to know each other night in Catania with traditional Sicilian street food and local wine. Fri 23rd Aug: Stash bike boxes at HQ and cycle along the coast road up to Etna. Free afternoon to cycle/walk the local trails, followed by a dinner in Milo at a local restaurant. Here we’ll spend the night in camping chalets. Sat 24th Aug: Set off on the trails up Etna getting up to the ski station of Piano Provenzana off-road, before continuing on to Rifugio Timparossa where we will spend the evening with a BBQ and camping wild. Sun 25th Aug: Head down the other side of Etna to the Alcantara Valley, an area famous for its wine production. In the afternoon we will visit a Cantina for a wine tasting and spend the night camping out. Mon 26th Aug: Head back to Catania to pack down bikes at HQ.